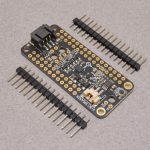 The Adafruit Feather line of Arduino compatible microcontrollers are designed with battery power and portability in mind. 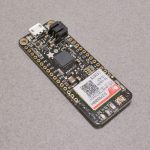 These thin form factor Arduinos have a built in single cell lithium charge circuit built right in – just plug in a LiPo battery and off you go! Just like a standard Arduino, Feathers can have additional feature “wings” stacked on top. 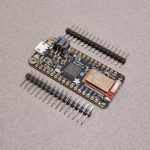 Best of all, Feathers are available with a variety of chipsets and built in wireless modules – there is an Adafruit Feather for every project! View cart “Adalogger FeatherWing – RTC + SD Add on for Feather Boards” has been added to your cart.